Oh, I would keep reading, since it's Margaret Atwood...and the opening lines piqued my curiosity. It's really good Laurel; enjoying it a lot. I like the start and, since its Margaret Atwood, I'd keep going. I forgot how much I enjoyed her earlier books. I've got a library hold on this one...waiting for it to come my way. Enjoy! I hope you'll enjoy it Catherine. Stan and Charmaine are great characters. I've read Atwood in the past, but I don't read her any more. Mostly, it's her snobbish attitude about those who self-publish that's turned me off. I wasn't aware of that Suzie. I'm not even going to pretend that I'm not beyond jealous of you for getting to read this one! I mean, uuugghh Margaret Atwood! I need to get my hands on it soon :) thanks for hosting! LOL Juli, glad u joined us. 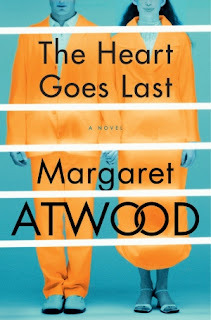 I'd keep reading because it's Atwood, although the beginning hasn't totally grabbed me. This is embarrassing, but I've never read Atwood. I plan to try The Handmaid's Tale sometime soon (but, soon is a relative term!). I'd keep reading since I'm curious about Atwood. Really? That's surprising Sarah as you seem very well-read! I'd keep reading, although the blurb doesn't really appeal. I'd need to see more before deciding. Margaret, it's quite addictive so far. 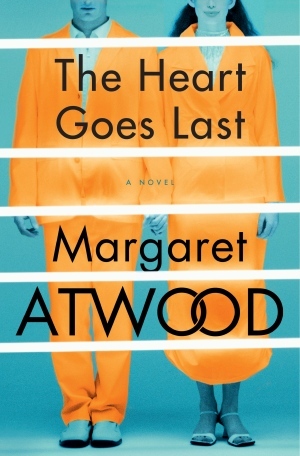 I've never read Atwood, but I'd give this one a try. Glad you liked the intro Yvonne. It's Margaret Atwood so a definite yes from me. Love her writing! I like her writing as well, but there are several of her books I still need to read. The opening doesn't grab me but, since it's Atwood, I'd keep reading. This one hooked me early on, and C. Campbell's narration, as always is excellent. I've never been able to get into Atwood, but I might keep going a bit further to see what happens. The cover of the book and this opening leaves me with lots of questions, so I'd keep reading! Somehow I've never gotten around to reading one of Margaret Atwood's books. This one looks promising. I still need to read a lot of her earlier books, but the ones I've read I did enjoy. I would read some more to find out what's up with them! This one sounds good! I've read some of her books in the past. I love Cassandra Campbell! I hope it's good. Debbie, C. Campbell is one of my favorite narrators as well. I so need this book in my life. I love that we chose the same book, Diane; I knew I liked you - HA! :) I was definitely hooked early on; this story is wild!